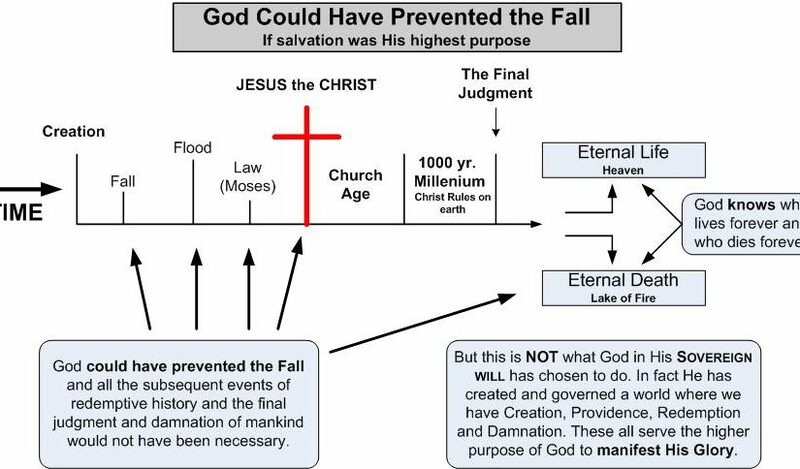 Many also claim that it is God’s will that all men be saved. In this they quote….. Consider then, how God displays His Glory in all things. In the bullets below are listed a few of the Divine Excellencies which are seen in the works of God. Dear reader, when you consider the Almighty power and Wisdom of God, the proper response is worship and awe! Surely we see then that the Scripture plainly teaches that “For from Him and through Him and to Him are all things.” That God is indeed the beginning, the middle and the end of all that He has purposed to do. There are actually numerous biblical texts which explicitly state that God seeks His own glory. In fact, there are so many, it would be exhausting just to list them all much less examine them. But here are a few….. Learn then, the Bible plainly declares that chief among the purposes of God is the pursuit of His own glory and the fame of His great name!